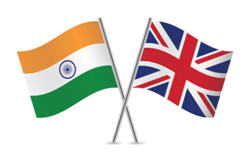 Yesterday India’s Transport Minister and UK’s Transport Secretary discussed a draft memorandum of understanding (MoU). The draft MoU seeks to facilitate cooperation in the transport sector and enable the sharing of expertise and latest technology to promote efficient mobility solutions. 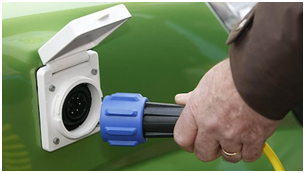 Currently, India has about 6,000 electric cars operational and keeping that in mind, The MoU would also help in promoting digital transactions and induction of high-capacity diesel and electric vehicles in the country. Under the proposed MOU, the Transport For London (TFL) will share with the Ministry of Road Transport and Highways its expertise on the mobility and efficiency of transport system and methodologies to facilitate the planning and delivery of mobility solutions including ticketing , passenger information, major project financing, infrastructure maintenance strategies and behavioral change and public transport promotion. Possibilities of further cooperation on electric buses, bus innovation and capacity augmentation and water transport were also explored during the interaction between India’s Transport Minister and TFL authorities. Government is taking all the essentially efficient steps to make Indian Automotive sector both smart, technological & advance, thereby boosting it to grow even further. Soon, the pact ensuring cooperation from UK in policy planning, technology transfer and institutional organization in the urban transport sector will be signed. Shriram Automall India Limited(SAMIL), No.1 service provider of used vehicles and equipment in India, since its inception, while playing its part in National Development, look forward to grow across the country sustainably. Company very effectively, while keeping itself aligned with all the newly amended transportation rules and regulations provide multiple transparent platforms to Acquire or Dispose Used Vehicles and Equipment in the country. Government is playing its part, you play yours and buy used vehicles fitted with CNG kit with latest emission norms, for better tomorrow. Visit your nearby Automall today to Acquire or Dispose used vehicles and equipment or click the link below for easy, convenient registration. Buying a car is certainly a big investment. You think of several aspects while purchasing a car like how fuel efficient it is, Automatic or manual transmission, Color, Variant and so many such things. Besides the aforementioned aspects, a buyer cannot overlook the car’s resale value as well. While some cars hold their resale value, others stoop within few years. To elaborate Shriram Automall India Limited (SAMIL) understands that. 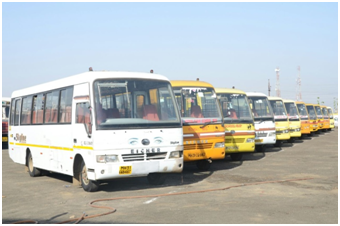 Thereby Company is best known for providing the best in class used vehicles and equipment in India. SAMIL - The Largest Platform for Acquisition & Disposal of Used Vehicles and Equipment in India, while playing its part in National Development, help used passenger vehicle segment to grow. As company make sure to provide passenger vehicles of all make and models available for customers all over the country at optimal prices. Company’s used passenger vehicle lineup includes everything from SUVs, Sedans etc. Not just that acquiring a used passenger vehicle from SAMIL is also cost saving, which means you can afford a top brand you wouldn’t be able to if it were new while acquiring the used one. Another perk is the lower rate of depreciation, as once you drive a new car off the showroom, you instantly lose about 20% of its value. But by acquiring the used one, depending upon the age of the vehicle, you may still be able to get the benefits of newer technology and better fuel economy. Even with so many pros to offer SAMIL understands it isn’t always easy to find the right used PV in excellent condition. Thereby Company offers the huge line up in all of its 70+ Automall facilities across the country. There with a good visual and mechanical inspection, you can quickly learn whether a used passenger vehicle justify your value for money or not. So, don’t wait or you might miss the chance of acquiring the right one for yourself. Visit your nearby Automall today or download our very own “MySAMIL Mobile App” to learn more about us and our inventory. You can also through Live Bidding Platform acquire the choice able used Passenger Vehicle. 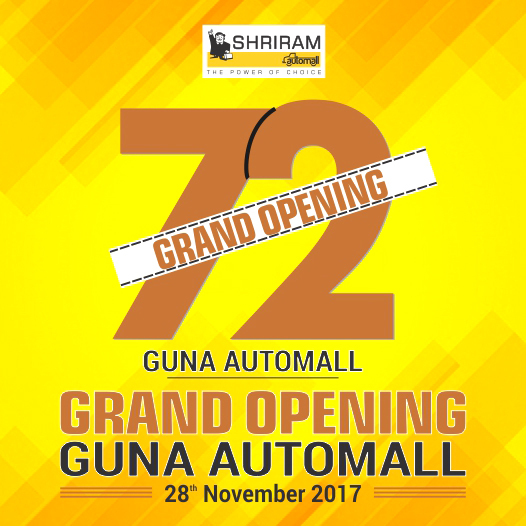 Shriram Automall Now In Guna with its 72nd Automall Facility! Guna district is one of the 51 districts of Madhya Pradesh in central India, having a population of roughly 1,240,938. Shriram Automall India Limited (SAMIL), India’s most trusted service provider for exchange of used vehicles and equipment, understand the demand of used automotives in the area for business and personal use. Thereby company with an aim to provide most organized pre-owned vehicle and equipment services in the area is now going to inaugurate its 72nd Automall there on 28th Novemeber’2017. From inaugurating its 1st Automall in Chennai to 72nd in Guna, company has written a successful expansion story, we all are proud to look at. By inaugurating the new facility in Guna, company aim to provide complete access to customers in and nearby regions, thus fulfilling their pre-owned vehicle requirements in an organized manner. If you are an interested buyer or a seller of a used automotive or equipment, Shriram Automall - Guna is going to be a trusted name for optimal and convenient transactions just like its other 71 Automalls and 150+ bidding locations. Visit the Guna Automall, on 28th Novemeber’2017 (Inauguration Day), and participate in the special bidding event to take home desired used asset of your choice. It’s no new news that India is urging to go all hybrid till 2030. This dream, took it first step at Nagpur – City in Maharashtra by installing the first electric vehicle charging station in the country. The station was installed by the oil marketing company; Indian Oil Company (IOC) has become India's first oil marketing company to set up a charging station at its petrol pump. Nagpur is also the first city to introduce electric public transportation in India. The biggest challenge for the country, to be completely electric by 2030 is infrastructure, as manufacturers on their part is all set to bring the new range of fully electric vehicles by the time. By 2020, India is expected to be the third largest in the world, as India's share of the global passenger vehicle market will jump from 4% in 2010-11 to 8% in 2020. Global passenger vehicle demand is expected to hit 108 million units of which 50% or around 54 million units will come from the Asia, Pacific and Africa region. 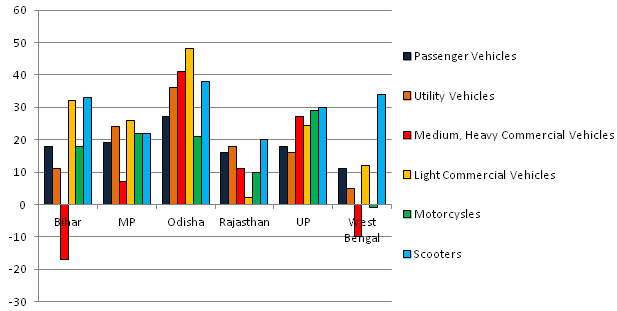 India's passenger vehicle market is expected to hit 10 million units by 2020. That's the scale for India to just start working on for the 2030 target. Such a huge number of vehicles would obviously require a vast charging infrastructure. India has nearly 56,000 fuel stations. 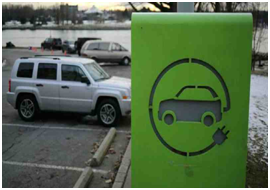 Compare them with the number of community charging stations across the country—206. For an-all-electric-car target, India needs to ramp up infrastructure in a big way. 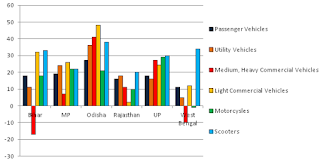 Since the operating range of electric vehicles is low, India would need a humongous charging infrastructure. Creation of so many infrastructures also needs a clear-cut policy as technology is evolving and might keep changing. So, Wait for it and till then if you are looking forward to buy and sell used equipment or vehicles compliant with latest government emission norms, SHRIRAM AUTOMALL is the best place to visit. You can also download “MYSAMIL APP” to go through their latest inventory filled with used vehicles of every make & model. 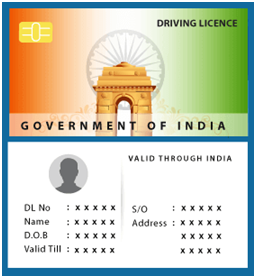 Government of India to Make Test for Driving License Stricter! Government plays a very vital role in a citizen’s life by implementing laws and regulations as they deliver warnings for our safety, thereby we must follow them, as good laws are the offspring of bad actions only. With evolving times laws for automobile has evolved from 1914 Act to Indian Motor Vehicle Act1924 Motor Vehicles Act, 1939 which came into force in 1940. To exercise the above legislative provisions Government of India created Central Motor Vehicle Rules in 1989 and made sure that all the rules under the Act are enforced in a well organized manner, as no laws are better than laws not enforced. Yet with increasing number of cars on the road, we can witness number of juveniles, adults breaking the rules and falsely acquiring the driving license, resulting in increased number of road accidents. The number of accidents on Indian roads stood at 4, 80,652, resulting in 1, 50,785 deaths, which revealed drivers’ fault is a major factor, resulting in 84% of the total accidents in 2016. Thereby, to bring down this number, the Government has joined hands with India’s largest carmaker, Maruti Suzuki, to set up automated driving test centers at 10 locations in the capital over the year. As we all know how till now, driving tests are conducted manually by the driving inspector and how those turn out. These centers will comprise of a scientifically laid test track, integrated IT network and several high definition cameras. Additionally, these centers will also employ a video analytics technology to analyze the driving behavior of the person applying for the license test. Thereby there won’t be a chance of negligence, also along with the setup; the manufacturer will also be responsible for operation and maintenance of the new centers for the next three years. The locations for the centers have been finalized as DTC (Delhi Transport Corporation) terminals at Hauz Khas, Shakur Basti, Raja Garden and Hari Nagar. Other centers are being built in Rohini, Dwarka, Jharoda Kalan, Burari, Sarai Kale Khan and Loni Road. So, let’s come together and help government in this initiative of making India, technologically advance. While doing so, if you are looking forward to acquire or dispose used vehicle and equipment but have no time to visit your nearby Automall, register yourself simply by clicking the link below or by download our very own MySAMIL Mobile App. 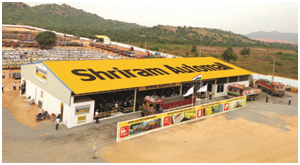 On November 21, 2012 Shriram Automall India Limited (SAMIL) – The largest used vehicle and equipment transaction platform in India, launched its 11th Automall facility in Hyderabad. SAMIL is the first-of-its kind initiative for the trading of pre-owned commercial vehicles, infrastructure andagricultural equipment in an organized and transparent manner through the most innovative platforms. Being the most trusted platform in the country, company has now expanded its reach in every nook and corner of the country, by inaugurating 70+ Automall facilities in every major and minor city. In the Automall, Highly skilled staff, well-equipped yard, prompt valuation services, easy finance option, and documentation facilities make sure customers in and nearby areas get the best when it comes to usedvehiclesandequipment transactions. This year Hyderabad Automall will be completing its 5 years of serving mobility at its best in and nearby areas. On the occasion company will be organizing a special bidding event on 22nd November’2017, where the vast inventory of used vehicles and equipment of every make and model will be available for disposal at optimal prices. Over the period of 5 years, Hyderabad Automall facility have contributed in boosting used commercial vehicle demand across India, as the facility aims to bring greater transparency and value-added services to Commercial Vehicles & Equipment trading Industry in India. The facility house hundreds of used commercial vehicles both in as-is and refurbished condition. Shriram Automall through its allied services and multiple innovative platforms has given the buyers and the sellers a unique platform where they can conduct transactions in a hassle-free manner. Spreading across 15 acres of land, the Automall is located at one of the most prime locations. The Automall promises complete solutions to the pre-owned vehicles and equipment related needs of transporters, contractors, dealerships, manufacturers and individual buyers and sellers. So, hurry and visit the Hyderabad Automall to inspect the vehicle of your choice and participate in the bidding event to acquire your desired asset. At the Automall you will also get complete assistance on financing and insurance options, as well as services for repair & refurbishing the vehicles. You can also participate in the Live Bidding event from the comfort of your home through “Desktop BiddingFacility” & “My SAMIL App” or simply click the link below for easy registration. Want To Keep Your Car In Your Possession And Not In Thieves’? Read This! We are pretty sure, that you’ve put a lot of work, money and effort into acquiring your beloved car and you obviously don't want someone to take it. We understand how buying new or used car, can be a big investment for you, thereby we at Shriram Automall India Limited (SAMIL) has brought this blog to help you out in keeping your car safe and secure from being stolen. Theft of your beloved asset may sound like your worst nightmare come true, but the fact is, car theft is a big business in India. Auto theft is a national-level racket that runs into crores of rupees. So, let’s read about some gadgets which you can use to keep you car in your possession. One advantage of car alarms is that they make it harder for a car thief to operate anonymously. Thieves don’t want attention. Thereby end up bypassing a car with an alarm for a vehicle without one. A steering wheel lock bar slides over the steering wheel and locks in place, preventing a thief from being able to turn the wheel. A kill switch works either as a stand-alone device or with an alarm system. When a thief tries to start the car without a key, the kill switch cuts off the fuel to the car or shuts off the electrical system, preventing the thief from taking the car anywhere. A brake lock works by attaching to your brake pedal and locking behind it, making it impossible to suppress the brake until the device is removed. It is made out of hardened metal as well, making it difficult to cut. A tracking device uses GPS technology to follow your car after it is stolen, aiding in its recovery. Also, having a sticker on the car advertising the tracking device acts as a deterrent because thieves don’t want the hassle of trying to deactivate it and don’t want to risk capture by stealing a car that police can track. Car theft is a serious problem, so always lock all your doors, keep your windows up and follow basic common sense whenever leaving your vehicle. Additional security measures do help prevent your car from being stolen, but only if you use them consistently and in the way they are intended. These key points go for cars of any and every make & model. 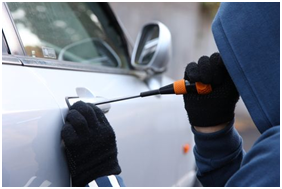 We are glad to help you be precautious to keep your car safe and secure from thieves. If this blog was of any help, Visit your nearby Automall or our website www.samil.in , to learn more about such Tips and Tricks in detail, at the same time Acquire and Dispose usedvehiclesandequipment at optimal prices. Register yourself by clicking the link or downloading our app. 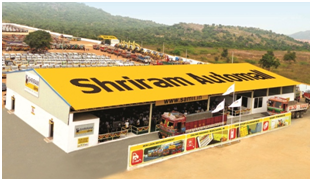 NEW 71ST ESTEEM SHRIRAM AUTOMALL’S FACILITY COMING IN BIKANER! Shriram AutomallIndia Limited (SAMIL) is India’s Most Trusted Platform for Exchange of UsedVehicles and Equipment in a Transparent & Organized Manner is coming up with a new Automall in the mighty state of Rajasthan and in the princely city of Bikaner on 24th November 2017. Company through its remarkably innovative services has created a renowned name for itself in the country and now while expanding its reach at every nook and corner of the country. Facility would be the 71st Automall of the company in the country which will be sprawling in 2.3 Acres of land. Bikaner is a city within the state of Rajasthan and was previously known as the princely state. As the city is one of the famous tourist attractions in Rajasthan it receives good demand for passenger vehicles, three wheelers and busses. Shriram Automall will focus on providing the best in class preowned vehicles and equipment to help the tourism business to grow even further with the robust speed. As the local transport preferred by the city commuters include, privately operated auto rickshaws, cabs, mini-buses, company will aim to meet the demand and with commercial vehicles being the center of focus, to satisfy the need of used passenger vehicles, two and three wheelers, construction and agricultural equipment of every make and model in the city. Automall will provide complete access to customers in Bikaner and nearby regions to take benefit of the most remarkable bidding platforms in the country. If you are an interested buyer or a seller of a used automotive or equipment, SHRIRAM AUTOMALL (Bikaner) is going to be a trusted name for optimal and convenient transactions just like its other 70 Automalls and 150+ bidding locations. Visit the Bikaner Automall, on 24th November’2017 (Inauguration Day), and participate in the special bidding event to take home desired pre-owned used vehicles of your choice. Cumulative numbers for the April-October 2017 period, looked positive for most segments, with a total of 14,913,307 units (+7.62%), representing good overall fiscal for the industry. Despite shock prevailing post-demonetization market, the Goods and Services Tax enforcement and the ensuing slowdown due to lot of pre-buying before the implementation of new and expensive BS IV technology in the month of April, the September sales for automotives in the country have been positive. In the month of September, Passenger Vehicle manufacturers managed a double-digit growth with SUVs boosting sales and Two-wheelers while riding on the robust demand posted highest ever sales. On the other hand Commercial Vehicles continued to grow with Tata Motors recording a sales increase of 29 % in the domestic market at 36,679 units compared to September 2016. In October, as the festive season was right around the corner, and after bumper month of festive September, passenger vehicle sales hit a record 309,955 units and overall industry sales notched 2,490,034 units for a year-on-year growth of 10 %. Yet, overall industry showed the mixed bag of performance since April to October 2017 with Total vehicle sales across segments being 2,162,164 units (-1.79%), out of which passenger vehicle sales were 279,837 units (-0.30%), commercial vehicles sales were 69,793 units (+6.44%), three-wheelers sales were 61,568 units (+12.81) and two-wheelers sales were 1,750,966 units (-2.76%). As ratio of UsedAutomotive to that of the New One is 1:1, Used Automotive Industry is also on the road towards growth. So if you are looking forward to acquire or disposeused vehicle and equipment at optimal prices, visit your nearby Shriram Automall today. Make the Dream of Having Your Own Car True! While providing the insight to think beyond since 2011, Shriram Automall IndiaLimited focuses on making dreams come true because they know that big dreams make big things. SAMIL being the no.1 service provider of pre-owned vehiclesand equipment makes it easy for their customers to own pre-owned cars in good quality and optimal prices. Owning your own car is not that of a big deal as you might think specially with the services and platforms SAMIL provide. For the people who intent to buy the pre-owned cars and SUVs, company offers easy finance facilities which can quite effectively and efficient help you acquire the best used car you desire. Also, where India’s automobile industry is one of the prominent growing automotive sectors in the world, used automotive industry is no where behind. Thereby is growing at CAGR of 15%. SAMIL since its inception has successfully changed preferences of many people in the country. As now mostly people first look amongst the used car choices available before making a purchase decision. Now used market stands competitively with new car market at par. For every new car sold 1.2 used cars are sold in the market. Even in the scenario where new car sales slowdown, used car industry witness an uptrend which seems to be an optimistic indicator of future sales in the market. If you are also looking forward to be an owner of a car or SUV, Shriram Automall will provide you the OneStop facility with great inventory. 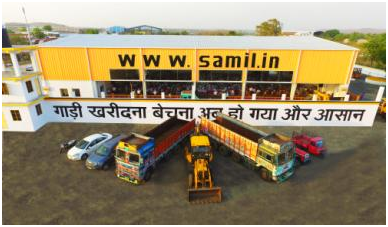 You can visit any of the company’s 70+ Automall sprawling in every nook and corner of the country and inspect the desired vehicle in the inventory before making the deal and choose the choice-able platforms to acquire vehicle or equipment with help of SAMIL’S professional team for every segment. So, what are you waiting for? Click the link below and register yourself. 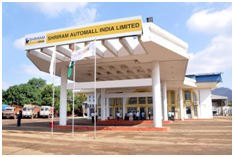 26th Febraury’2011, Shriram Automall India Limited (SAMIL), inaugurated its 1st Automall facility in Chennai, while making a promise to make the unorganized sector for transactions of used vehicle and equipment an organized one, thorough its esteem innovative bidding platforms. Since then the journey that SAMIL has accomplished has not been less than a prodigy, where people all over the country have accepted the company & its platforms with open arms. Shriram Automall since its institution in 2011 has attained remarkable heights. Providing the Highly Demanding Used Automotive Market, what it always needed i.e. an organized approach, SAMIL with the spick & span organized approach changed the appearance of the market from inside out. With inauguration of 1st Automall facility in Chennai, company with a vision to expand in every minor and major city of the country, inaugurated 70+ Automalls over the period of time. In the coming years, ShriramAutomall plans to reach a benchmark figure of inaugurating 100 Automalls across the country. This will not only make SAMIL the most trusted service provider for transactions of pre-owned vehicles and equipment but also the largest one with physical presence in every nook and corner of the country.